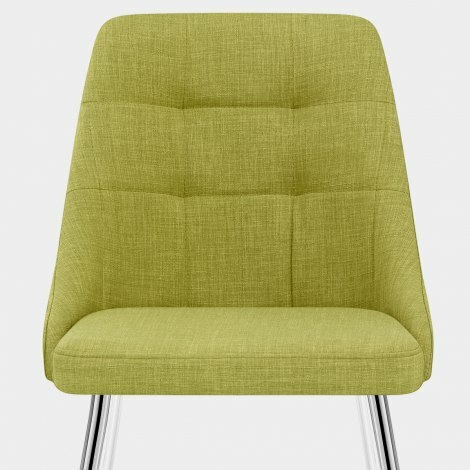 Make your guests green with envy and grab the Shanghai Dining Chair Green Fabric today. Boasting a host of eye-catching features, the Shanghai Green is both fashionable and traditional, making it suitable for many settings and rooms within the home. 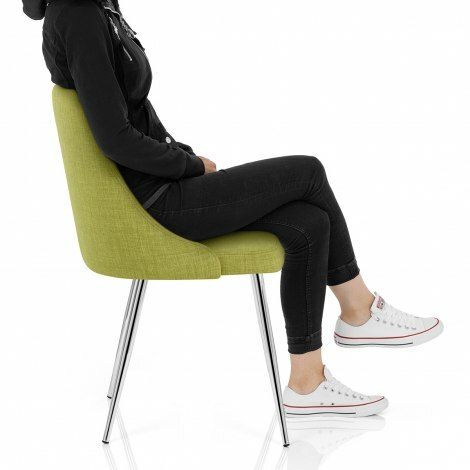 Featuring an upholstered green fabric seat, it is padded for ultimate comfort. Decorative stitching creates an attractive quilt design on the medium backrest, which provides good support and subtly scoops around the seat itself for a more ergonomic and secure seating position. Four stylish chrome finished legs gracefully descend to the floor, each including a protective plug to assist in looking after your floor. "Incredibly stylish and very good quality"
Stylish chairs, great colours match perfectly for my square glass table. Quick delivery and excellent customer service. Thank you. Very comfortable chair, exactly what I needed to complete my dressing table. I was worried about colour shade but it is matching perfectly as shown on your website. And shocking delivery speed, next day promptly. Comparing to other furniture sites waiting time, you are doing the best possible job. Thank you soooo much. Will recommend using all over. Very happy for my purchase. Fast and accurate delivery. The chairs are perfect, initially I ordered 2 but loved them so much I ordered another 2! They are comfortable without being too big for our smallish dining area, and the colour is exactly as shown. I also bought the bar stool in the same colour, excellent value and next day free delivery......perfect in every way! Absolutely delighted. great colour, great quality and great delivery.